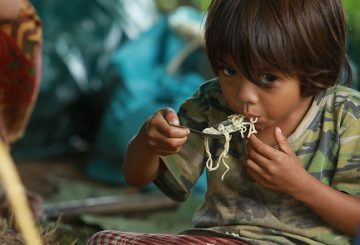 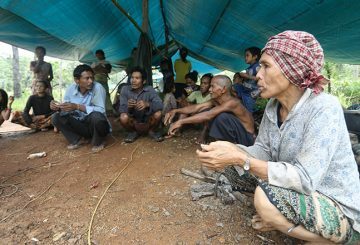 Choeu Doung is smoking her pipe while preparing noodles for her grandchildren at a temporary shelter atop a hill in Siem Pang. 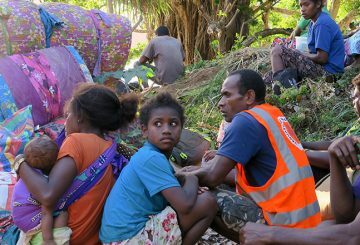 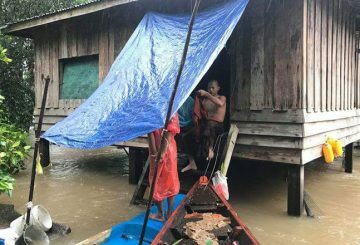 About 600 people have died over the past couple of weeks, hundreds of thousands of houses were washed away or greatly damaged. 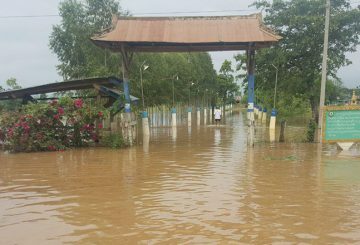 Stung Treng Authorities designate at least ten polling stations to higher grounds. 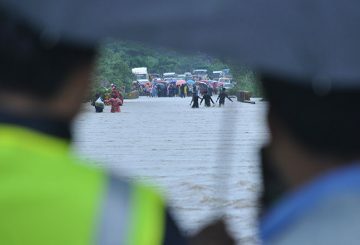 The government has started evaluating the extent of the damage caused by ongoing floods across the country. 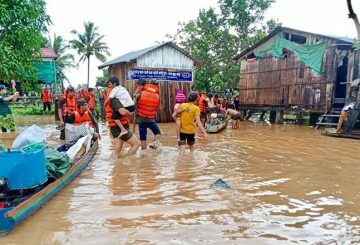 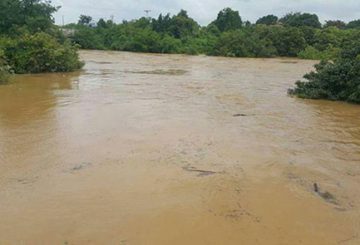 Authorities began evacuating villagers affected by floods along the Sesan river in Ratanakkiri province. 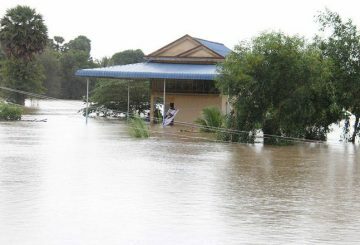 As heavy rains continue, the National Election Committee says that it will move polling stations to new locations. 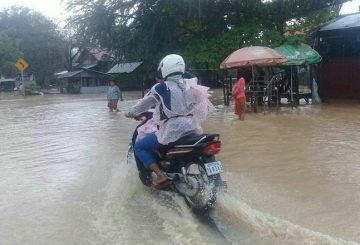 The National Election Committee will move polling stations to new locations if they are affected by floods on July 29 as heavy rain affects parts of Cambodia. 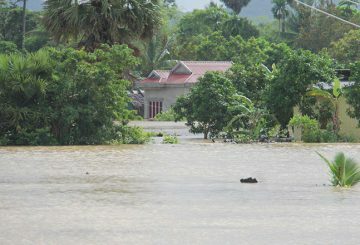 Heavy flooding killed 48 people in Mongolia while downpours in the western Bayan-Ulgii affected more than 2,500 people. 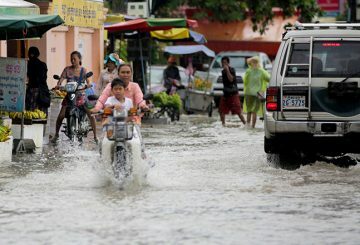 As floods hit major provinces of the country, the authorities are preparing for a new storm brewing in the South China Sea, officials said yesterday. 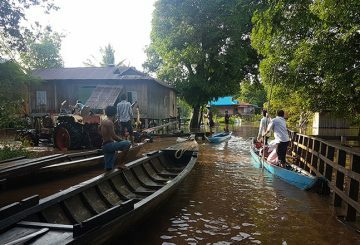 Water Resources Ministry announces that floods will hit several provincial areas due to strong weather and water flow from Thailand. 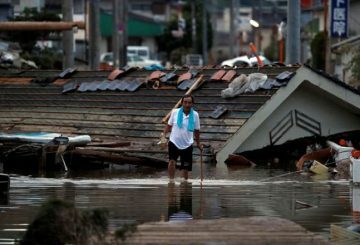 Rescuers in western Japan dug through mud and rubble, racing to find survivors after torrential rains unleashed floods. 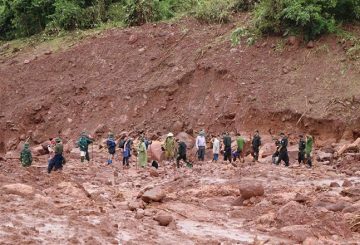 Flash floods triggered by heavy rains have killed at least 7 people in northern Vietnam. 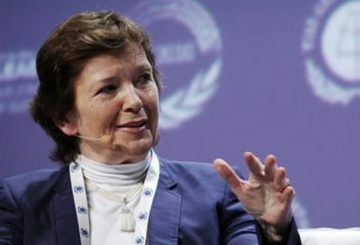 Women must be at the heart of climate action, former Irish president said. 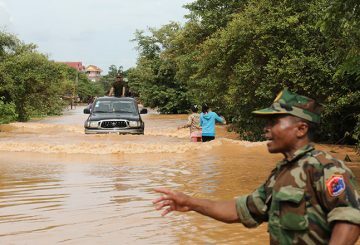 The Water Resources Ministry announces that most provinces are going to face flooding again beginning in early June. 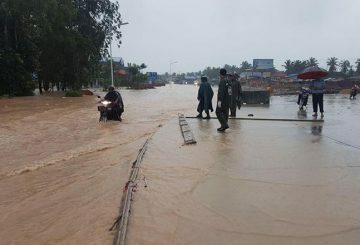 Flash floods caused by heavy rain kill at least 34 people in several Afghan provinces and cause serious damage to property. 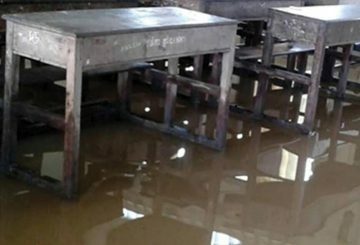 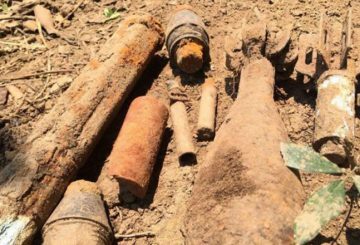 Official says some schools in Banteay Meanchey have been affected by floods. 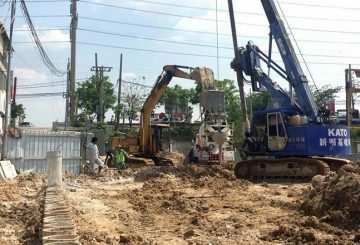 City Hall decides to build a new Boeng Tumpun pumping station in Meanchey district. 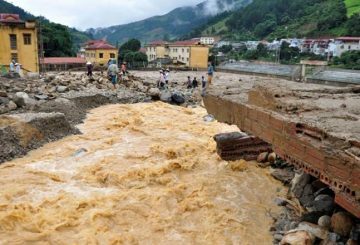 Disaster Management says at least four provinces are suffering from flash floods. 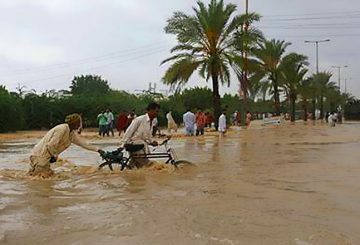 One person died and three others are injured by storms in multiple provinces. 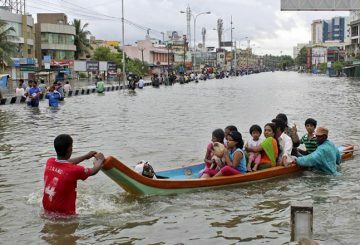 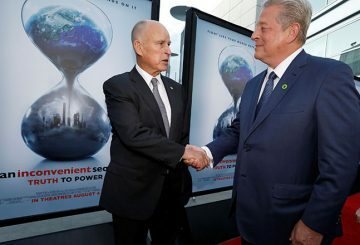 Climate threats gathers pace globally. 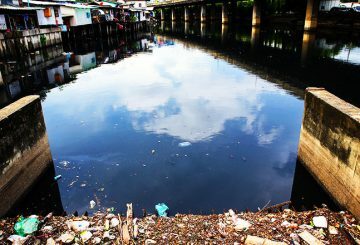 The authorities have struggled to convince most slum dwellers to relocate. 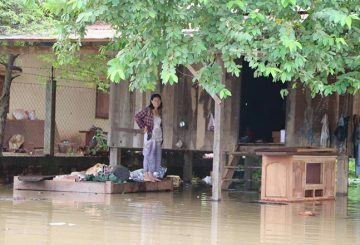 People who live in disaster-prone areas, are likely to experience mental problems. 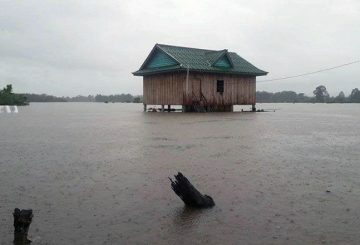 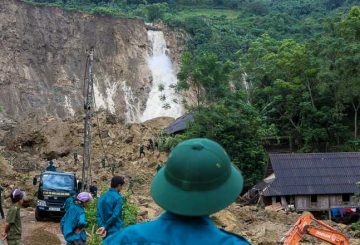 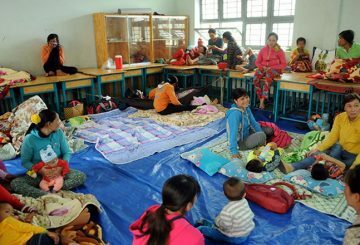 Heavy rain in northern and central Vietnam triggered floods and landslides that have killed 46 people and 33 people are missing.